Tomorrow sees the first release on the Croydon Municipal label, which will specialise in unearthing forgotten albums, lost 45s and 78s from the mid 20th century. There is a bottomless treasure chest to rifle through - plenty of shonky enterprises are doing it badly, not enough are doing it well (an honourable mention here for the Elvis specialists Memphis Recording Service), so I thought it was about time I started a re-issue label and had some fun of my own. My aim is for Croydon Municipal to put the past back together in unexpected and exciting ways. Though, of course, I might also put out a collection of every American number one hit from the 1940s. It's all waiting to be done. "This is the perfect compilation for days when heat brings an enervation so overwhelming it’s possible only to bask like a seal flopped on a rock. 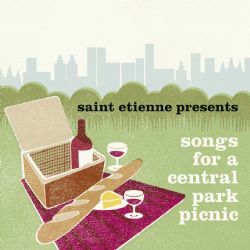 Songs for a Central Park Picnic’s 25 tracks capture moods of calm and wistfulness, something to help you take it easy. Yma Sumac’s swinging “Gopher Mambo” and Sammy Davis Jr’s “Bee Bom” are uptempo, but their relaxed groove won’t induce a sweat. "The picnic kicks off with the definition of cool. 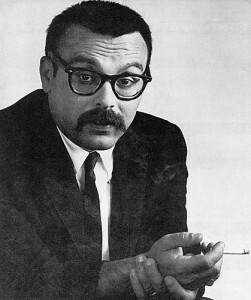 On Vince Guaraldi’s “Softly as in a Morning Sunrise” (right) notes peal from the piano like ice cubes plinking into a glass. The Paris Sisters’ “Yes I Love You” has the drifting, surreal beauty of a David Lynch contemplation. This is the sound of pre-Beatle America: not that of out-and-out rock ‘n’ roll, but of uptown, jazzy, Philadelphia cool and the beaches of the South. Lalo Schifrin and Henry Mancini rub shoulders with Southern country-soul pioneer Arthur Alexander (whose superb “Where Have You Been” is included) and beach music stars The Tams." Songs for a A Central Park Picnic will be followed by a brace of albums in October after which there will be at least one a month including, I'm fairly sure, a festive collection in November - something sweet to soundtrack the wrapping of presents. I'll keep you posted. 1991 was a golden year for dance-based chart pop - the KLF, SexKylie, N-Joi's Anthem - but less so for guitar-based bands. 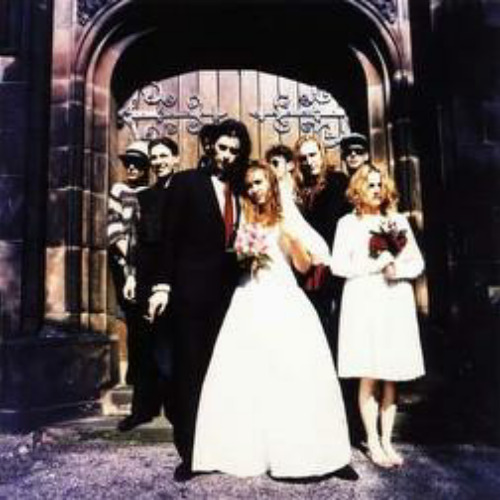 Manchester and baggy were past their best, shoegazing was an intriguing but niche noise, and self-absorbed but extremely loud American acts like Mudhoney were beginning to dominate indie discos. This isn't too surprising when you consider the UK alternatives, which were mostly grimy, colourless, and entirely unambitious: Ned's Atomic Dustbin, the Wonderstuff, Mega City Four, the great unwashed. The Family Cat had a single out called Colour Me Grey and that set the tone. It was dire and, with Saint Etienne just finding their feet after two singles in 1990, gave us a target to take out. There were exceptions. 5.30 had prescient mod leanings but wrote songs with titles like Cuddly Drug, Catcher In The Rye and Junk Male ("I'm just a junk male, I'm just a junkie"). The equally angular but far better Manic Street Preachers were eminently quotable, despised the "toilet circuit" and wanted, rather charmingly, to go "straight to the medium-sized venues". Then there were a few groups who Simon Reynolds tagged 'retro futurist' and in my eyes they were true modernists - taking the best bits of the past to create something new. World Of Twist had emerged from the Madchester scene but would quote northern soul motifs rather than Funky Drummer loops, and put on a stage show that blended Peter Gabriel-era Genesis with working men's club satin and tat. At a party at Gordon King's Whalley Range flat, he put on Slade Alive, a move even I'd have been scared to make. 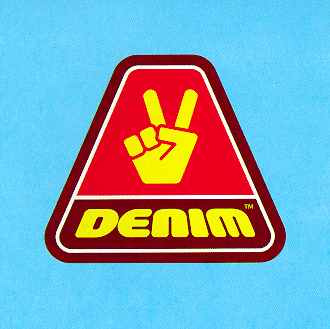 Then there was Denim, whose singer and leader Lawrence had a penchant for Stephanie de Sykes, Lynsey de Paul, and Rings Of Saturn by Underground Resistance project X-102. "It's a new kind of music" Lawrence would say, excitedly, and often. Lawrence seemed like an obvious pop star to me, as did Pulp's Jarvis Cocker. 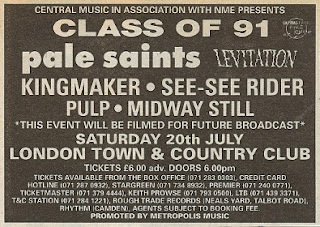 Saint Etienne and Pulp toured together in early '93, by which time their set included future classics like Babies, OU, She's A Lady and My Legendary Girlfriend. Jarvis was on such a roll that he had handed over Babies as a single for my 'boutique' Caff record label - we got as far as cutting an acetate before he realised its potential and changed his mind. At a forgotten venue called the Gass Club off Leicester Square, Carrie and Jacqui Shampoo, Lawrence Denim, myself and Pete Wiggs were in attendance when Jarvis played Lio's Le Banana Split, Love Sculpture's Sabre Dance, and Lieutenant Pigeon's Mouldy Old Dough in succession, the most barking mad DJ selection I've ever heard. Kindred spirits, we all bumped into each other at gigs, all nighters, greasy spoons and ephemera fairs. 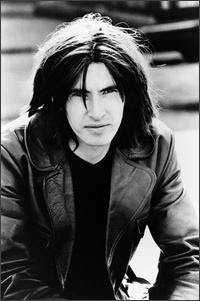 I remember seeing Bernard Butler at the Camden Underworld one night in 1993, having a quiet drink with his girlfriend. I strode up to him and started haranguing him about how we had the future of pop in our grasp, how we really could shape what happened next: Suede, Saint Etienne, Pulp, Denim - I mean, hadn't he seen that Select cover? People expected us to show them the way! 'You're quite drunk', said his girlfriend. 'I think you should go now.' And yet, Suede's next move was the epic Stay Together which, if it wasn't quite as skyscraping as it could have been, at least indicated grand designs. Released in February '94 it reached no.3 but somehow felt slightly out of sync. Something was changing at ground level. Right now, in 2013, Oasis are at their lowest critical ebb, and it is fashionable to point to their bludgeoning noise and Beatle piracy as indicators that things were about to go awry. Their ascent from Creation's seven-inch-singles-in-a-plastic-bag act in '94 to biggest band of the nineties exacerbated their basic problems of self-regard and conservatism: Oasis have come to represent and emphasise Britpop’s limitations and its folly. Noel Gallagher revealed the narrow parameters of his classicism in a Mojo interview; he recalled how a fan had given him a cd of sixties baroque pop group the Left Banke, and that – to his surprise – he loved it. Would it be an influence on the next Oasis album, asked the journalist? "Nah. The idea of Bonehead dressed in a cravat and a frilly shirt playing a harpsichord doesn’t do it for me." Nobody expected Oasis to collaborate with Metalheadz, but you wouldn't have thought the Left Banke was a massive stretch. This startling lack of adventurousness was mirrored by Paul Weller's mid-nineties retreat into classic Britrock, the deification of the La's, and Ocean Colour Scene's switch from baggy voyagers to nu-generation Merton Parkas. A less obvious turning point in Britpop's swing from Caught By The Fuzz fizz to Drugs Don't Work dirge was the arrival of Elastica. Elastica appeared at Britpop's peak. Drummer Justin Welch's belched percussion throughout Line Up on their Top of the Pops debut in February ’94 predicted the art-school sniggering of the late-nineties Hoxton scene, and took Blur’s sneering superiority to a colder level. They looked to the past to create a future but in a rather more blunt way than Pulp or Denim - all of their songs seemed heavily indebted to the late seventies, and debut single Line Up was so close to Wire’s I Am the Fly that they were forced to settle out of court. Their arrival on the scene had a similar effect to Johnny Thunders and the Heartbreakers' impact on the London punk scene. Like the Heartbreakers, Elastica brought heroin to the party: they were cool, ergo heroin was cool. Pulp and Denim quit their wood-chipped interiors to party at Elastica's Kings Cross pad, a stones throw from where the new St Martin's would open two decades later. What had been speedy and boozy became a smacky scene. Ultimately, the art school strand was just as responsible for Britpop's decline into reductivism as Oasis's shortsightedness. Early '94 gave us Elastica's steely-eyed magpie pop, Oasis's first two single and, most depressingly, Primal Scream's ultra-conservative Give Out But Don't Give Up. Screamadelica had been a launchpad for future pop just three years earlier - they followed it with a lame collection of rockist cliches, wrapped in a Confederate flag sleeve, which couldn't have been further removed. 'Yanks go home!' had been Select's cheeky rallying cry a year earlier. But were the Americans impressed when they heard Jailbird and Cry Myself Blind? No, they were laughing at us. It seems rather naive in retrospect that I thought combining modern house and techno beats with forgotten corners of the past - whether it was Joe Meek's (only just released in '93) I Hear A New World, Giorgio Moroder's The Chase or ESG's You're No Good - was about to lead us into a dazzlingly fresh pop nineties. Once the box marked 'the past' was open, other people were bound to cherry pick rather less recherche inspirations - why bother drawing on forgotten Lynsey de Paul album tracks when you had the Beatles, the Stones, the Jam? 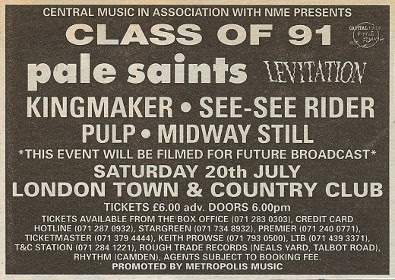 With the first wave of Britpop we unwittingly set everyone up for Union Jack sweaters and endless re-runs of Quadrophenia. Sorry about that.